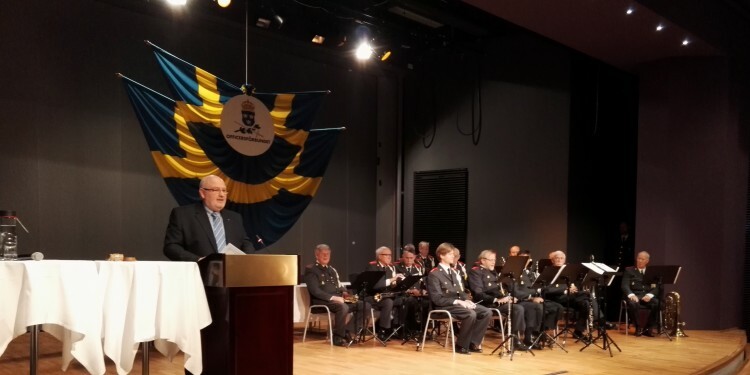 Every three years, the Swedish Association for Military Officers, SAMO, invites their members to a congress where a new board of direction is elected and an action plan, the course of action, is determined for the upcoming three years. During the meeting, delegates from all the military units in Sweden are attending to discuss and vote for motions and propositions, priorities in negotiations and much more. Honourable guest and speakers where President Göran Arrius from the Swedish Confederation of Professional Associations, Principal Romulo Enmark from the Swedish Defence University, Chairman Allan Widman of the Swedish Defence committee, State secretary Jan Salestrand, Armed Forces Commander in Chief General Micael Bydén and the President of EUROMIL Mr Emmanuel Jacob. This year, more than a hundred delegates from all over the country came to represent the members in the armed forces and military academies. For three days important topics were raised such as salaries and minimum wages, occupational pension and environmental working condition. In his much-appreciated speech, President Jacob raised some important issues. He pointed out how Military trade unions have got a positive effect on the Armed Forces. This due to the possibility for the military personnel to negotiate their working conditions and enhance their situation which in turn boosts motivation and commitment. It is only when soldiers and their associations can exercise the full spectrum of fundamental rights and freedoms that the Armed Forces can be truly integrated in society. Soldiers are citizens in uniform and should be given the same fundamental rights and basic freedoms as every other citizen. All military personnel in Europe do not share this, the fundamental right of freedom of speech and the right of association, and this is why we must continue the work to ensure the basic rights of all military personnel. Mr Jacob emphasised on one of the main tasks of the EUROMIL association, that to facilitate exchange of information, experiences and best practices among its members. At the meeting, Mr Emmanuel Jacob received SAMO’s Medal of Honour “For outstanding achievements, dedication and enthusiastic work for all military personnel within Europe and their right to become citizens in uniform”. This article wes written by SAMO. For more information, please contact SAMO directly.